Whether you’re interested in expanding the online presence of your brick and mortar business, or optimizing your digital store, there have never been more exciting times to discuss eCommerce, traditional retail and the technologies that will affect both. Today we will focus on AI (specifically on machine learning) and how the stores of the very near future will require you and your team to leverage it. Just a quick note: Oftentimes the language around the future of retail tends to be pessimistic, or at the very least uninspiring, with the prevalence of phrases like “it’s hard to catch up with the pace of business today,” or “ the death of retail.” We couldn’t disagree more. With the technology that is available today you can create experiences that your customers will embrace, a site that is easy to use, attractively designed, and that is always getting better and optimized through testing and machine learning. Nothing demonstrates the striking power of eCommerce like a chart comparing the companies on the front line of commerce. Reviewing Amazon stock against traditional brick and mortar retail show precisely the disruption eCommerce is causing in the industry. The divergence is accelerating as is evident by the quick rise of Shopify which in short order of its public offering has surpassed the returns of Amazon for its investors. For all the reasons above, eCommerce today can display a significant and obvious advantage over traditional retail. With the right eCommerce platform, businesses can now deliver modern, high-quality applications with faster load times and low shopping cart abandonment rates. The next step for eCommerce will be an even more widespread of machine learning in web application development, using big data collected from millions of transactions and site visits, and leveraging advanced algorithms that constantly make your site better, and the experience more customized – whether it’s streamlining your checkout process or choosing the statistically highest converting design for your website. By developing platforms using such algorithms digital stores will move into an even higher level of efficiency (and higher returns) as this technology improves. The big call to action for those running eCommerce businesses or brick and mortar stores is to embrace these processes ASAP. As shown in the visual above, the big players are already there and a big part of their success can be traced back to their constant improvement of shoppers' experience. Segmentation and targeting: Provide bespoke shopping experiences that take into account who the customer is, what they like and dislike, and offer the most accurate version of the product they need. Security: Proactively noticing flaws and loopholes in the system before fraudulent behavior is an impossible task for security experts without machine learning. Using AI, they can run tests at a larger scale, leveraging the mountains of data from previous transactions. Pricing optimization: With so much competition, retailers can’t rely on a set market price for all their potential customers. Instead, through machine learning, they can provide visitors with the price that makes the most sense for them based on past transactions, time and date, and other external factors. Goods and services recommendations: Knowing what your customers have liked in the past and using it to predict what they will need in the future has proved successful for tech giants in the past and can become an essential source of revenue for your organization. 35% of what consumers purchase on Amazon (and 75% of what they watch on Netflix) comes from product recommendations from AI algorithms. AI will be a game changer for eCommerce and fundamentally change the way consumers shop for goods, quickly digesting all the complexities of your situation while merging and analyzing all your disparate data sources with the goal of taking care your customers’ shopping needs. ‘Business as usual’ is no longer a certainty. Yet you should only worry about talks of the 'retail apocalypse' if you're not thinking of ways to update your eCommerce platform and ensuring that your customers' experience is as familiar, intuitive and bespoke as possible. Contact us to learn how we can help you create powerful eCommerce experiences. 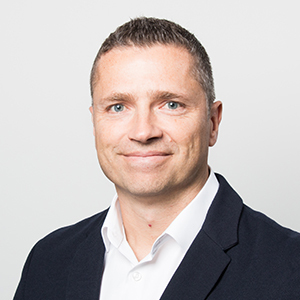 Ditmar is an engineer and technology leader with 25 years experience ranging from plant floor robotics to enterprise content management, eCommerce, and modern web. 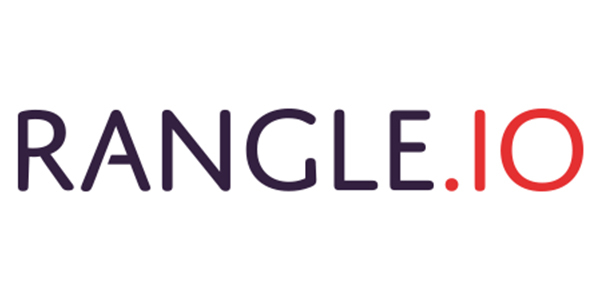 As the Director of Architecture & Innovation at Rangle, he specializes in helping companies apply technology to accelerate their business outcomes. © Copyright Dx3 Canada 2018. All Rights Reserved.